Studio Canal UK has released a 'Behind the Scenes' of The Lost City of Z. You can catch a glimpse of Robert Pattinson! 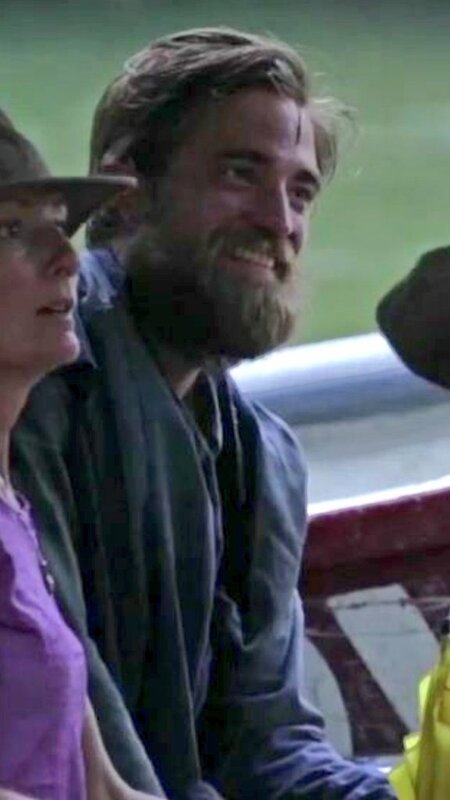 "Based on author David Grann’s nonfiction bestseller, THE LOST CITY OF Z tells the incredible true story of British explorer Percy Fawcett (Charlie Hunnam), who journeys into the Amazon at the dawn of the 20th century and discovers evidence of a previously unknown, advanced civilization that may have once inhabited the region. Despite being ridiculed by the scientific establishment who regard indigenous populations as “savages”, the determined Fawcett – supported by his devoted wife (Sienna Miller), son (Tom Holland) and aide de camp (Robert Pattinson) – returns time and again to his beloved jungle in an attempt to prove his case, culminating in his mysterious disappearance in 1925." And a screen grab in case you missed seeing Rob in the clip. Sure looks like he enjoyed his time on set!